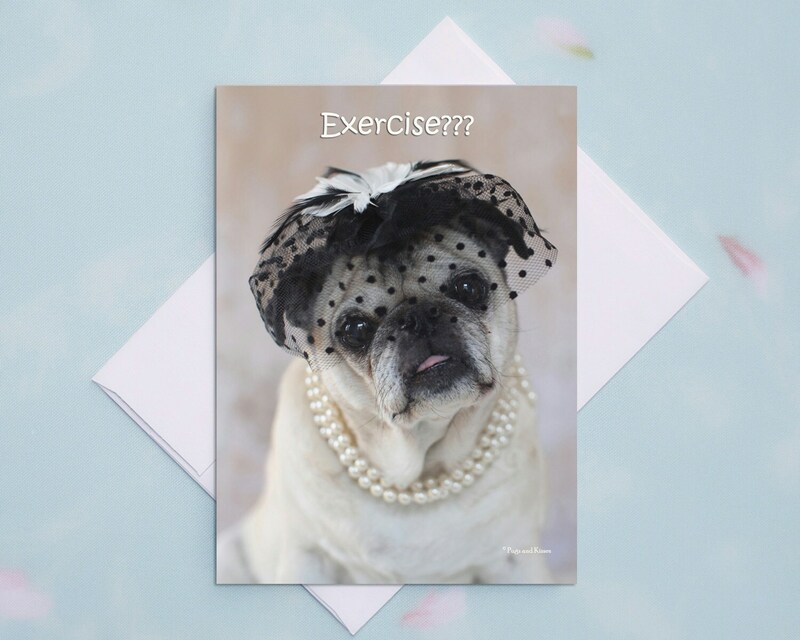 This item is one, "Exercise/ Accessorize," funny card for friends by Pugs and Kisses and Gretta's Girls. 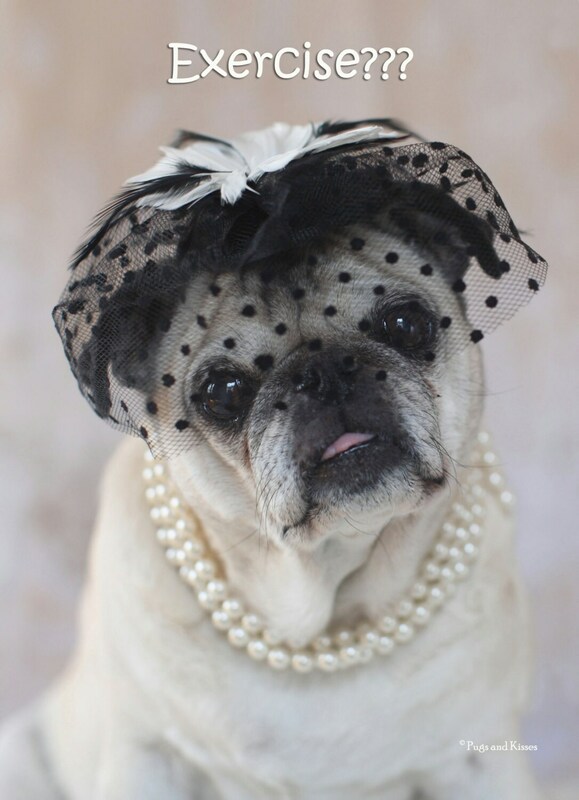 The card pictures a fancy and fashionable lady pug. 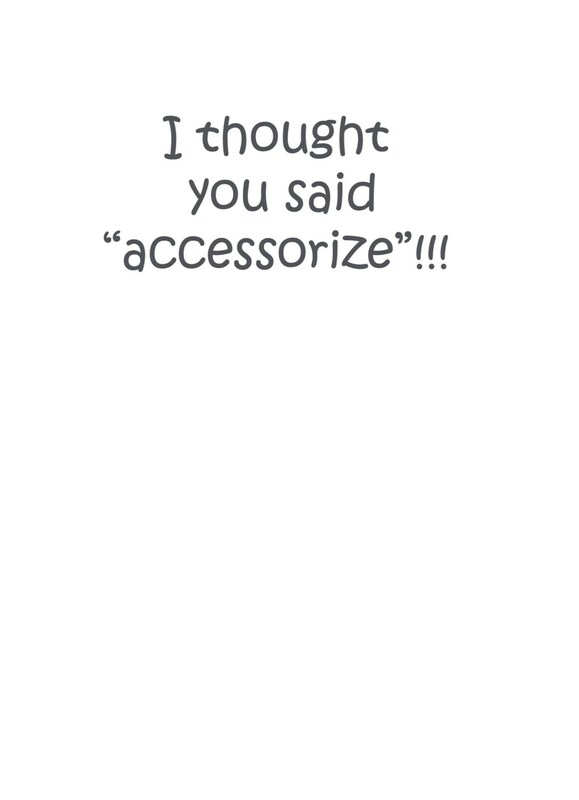 "I thought you said 'accessorize'!!!" This funny card is sure to bring a great laugh to your dear girlfriend!